FOOTBALL fans are rarely in tandem. From debating who’s the better footballer between Cristiano Ronaldo or Lionel Messi to analysing the best player ever to play in the Premier League or even just divulging your annoyance at the latest team selection. In the Liverpool-supporting world, no player could better represent football’s divisive nature than Jordan Henderson. To some, he’s an underappreciated workhorse belittled by perennial comparisons to former greats; to others, he’s an overrated and undeserving club captain lacking the quality required at a club of this stature. 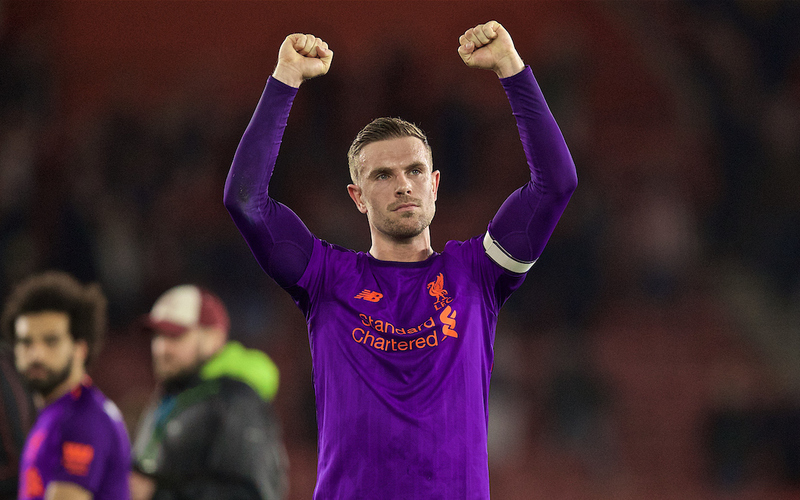 Jordan Henderson took on the impossible task of trying to follow up the one-in-a-million player in Steven Gerrard, and the erroneous comparisons in the years since have left him derided for what he isn’t rather than applauded for what he is. He is the nitty gritty player, one of balance and solidity, focus and flair. As a leading voice in the dressing room, it’s no coincidence that he’s earned the respect of his teammates for club and country. And yet, he’s so much more. The last two games have proven that in abundance. It’s a testament to the “monstrous mentality” Klopp has instilled that there were no fears of a potentially damaging draw at St Mary’s. At 1-1 after 79 minutes and the players weren’t wandering round thinking “this is it”. Heads remained levelled; the old guard came on, and the game turned on its head. It was Henderson all over. His exuberance was like a contagion; frantically barking orders at his colleagues. First, he sprang a seamless counter attack into life with a weighted header into the path of Mo Salah, before sealing the game with a lambasting run from deep. This was shades of 2013-14 Henderson, free from the defensive shackles and able to maraud into the box with real freneticism. 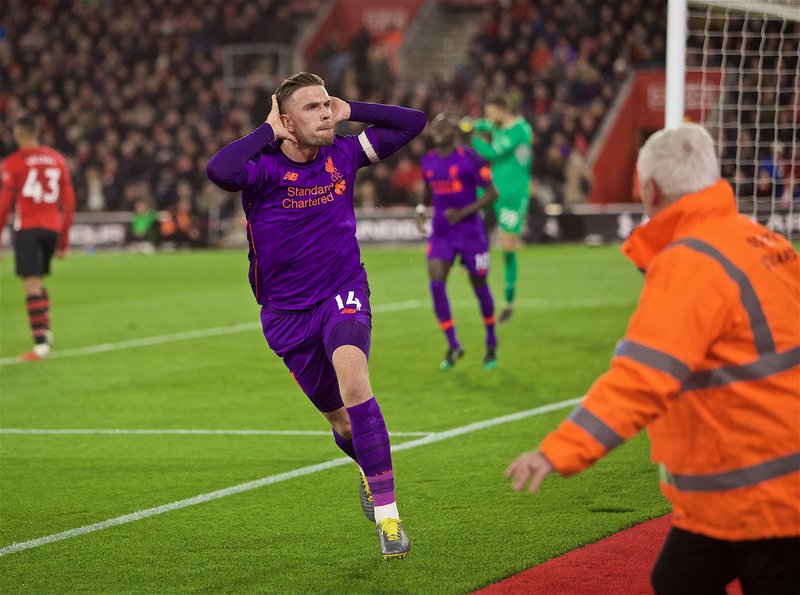 It was his first goal since Leicester back in September 2017 to ensure The Reds went back to top spot, and you could see what it meant to him. Celebrating like a man possessed, the ear-cupped celebration was a statement to his haters. This was his aggression, his passion, his sheer unbridled joy bursting out in the face of his critics. This was for those who suggest he doesn’t have the quality needed, nor the leadership to push the team to their first league title in 29 years. 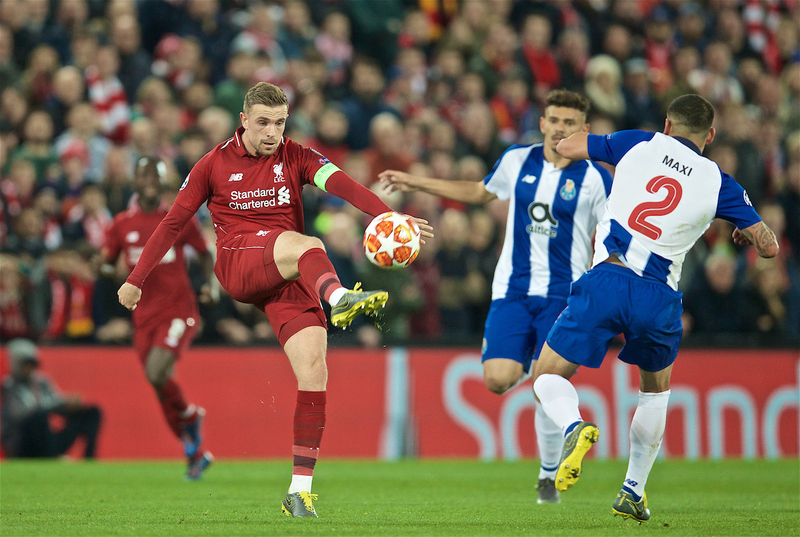 Porto may not have produced similarly dramatic cupped-ear celebrations or explosive outbursts, but it was another illustration of Henderson’s importance to the side. Again, entrusted with the freedom to operate in a more advanced role, his running and aggression added a fire in the belly, providing support from deep that the front three have been crying out for since Alex Oxlade-Chamberlain’s injury last year. This was Henderson proving his value in a defiant manner once more. Though Liverpool’s second goal was scored by Roberto Firmino and assisted by Trent Alexander-Arnold, it was all about the work Henderson had done. An intricate, perfectly weighted ball to unlock Porto’s defence and nullify both Alex Telles and Eder Militao. Wherever, whenever, Henderson was there, popping the ball off to his teammates and angling for a swift return. He was the orchestrator, the conductor, the man setting the tone. Critics will continue to fixate on what he isn’t, what he could never be, but recent performances serve as a stark reminder of his own qualities. Is he the club’s best player? No. Would he win a popularity contest? Almost certainly not. Yet there are no qualms from Klopp about Henderson’s influence. Henderson has proved he’s a powerful presence with potent energy, and he now appears to be relishing the challenge presented by those who doubt he can deliver. And he may yet become the first Liverpool captain to lift the Premier League. Leanne, maybe you should read this writer’s version on Henderson’s “emergence”. It offers more than the usual drivel that polarizes supporters on Henderson. Been saying it for ages that Henderson was better in his role back in 2015. Only took Klopp 5 seasons to take off the blinders. Thanks Southgate. 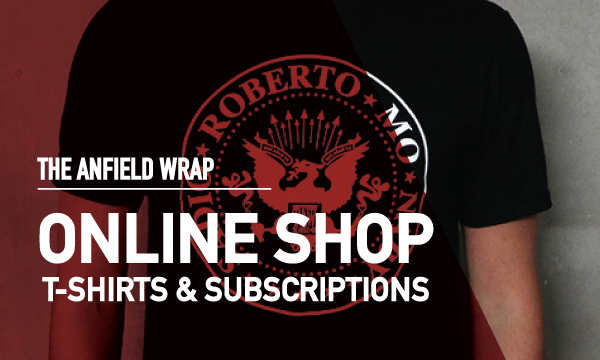 Hopefully those draws against Leicester, United, WH and Everton don’t prevent these lads from getting over the line. No need to be patronising. Hi Sash, Whilst indeed you have been saying this, Klopp has been limited in his options until of late and it is what the team requires as opposed to what is best for individuals. Our team is at best when it is the sum of all it’s parts and Henderson has played his part in this. Writing what you have put sort of suggests Klopp wasn’t aware of this or anything else. I assume he was, hence the signing of Fabinho as a specialist. Klopp in the past has tried to utilise everything he had to hand, which include Emre Can (good lad with loads of abilities… just unfortunately he always seemed surprised a game of footy was going on around him). So whilst we lost Emre, we bought in Fabinho and had to get him up to speed. Most players coming from overseas need a year to acclimatise to our League and then we see our best. Meanwhile Klopp hasn’t had the luxury to play Jordan anywhere else, until now and equally did Jurgen wish to be experimenting with Jordan further forward when we are pushing hard for 2 trophies? Things can’t be going that wrong with how Jurgen sees everything as we on course for a record points haul EVER!! !… So yeap, it took Gareth Southgate to play Jordan back in a position he has seen him in, in a game that was already won and then all felt Jordan could continue to do this job as well. So indeed you have been wanting this, but did we have the players elsewhere for the number 6 role?… I feel TS has a better take on this in his posts and he has been championing Jordan long and hard. Personally I like Henderson and think he’s a great player and like Leanne says, when people stop thinking he’s the new Gerrard and see him for who he actually is then they will appreciate him. We have been here before on many an occasion. I remember one Kevin McDonald signing and playing for us. For anyone back in the day he wasn’t Souness… However he actually was a fantastic player until some yard dog who played for Southampton broke his leg… To say how good Kevin was, he kept us in the game in the 1985 Cup Final against Everton. It will always be discussed about Molby, but Kevin did his job perfectly in a season we won the double. He also kep Steve McMahon on the bench. Henderson is the best midfield player for liverpool .he has to play a more advanced n offensive role.he has the ability to score goals if he is given the chance to make shot.klopp should advise him to make maximum shots towards goals n he will definitely become a player greater than gerard . Henderson has been pivotal in Klopp’s revival of Liverpool Football Club. End of. Good read Leanne. I’m with you. Klopp rates him. Gerrard thought he was the man to take the armband. That’s good enough for me.